At the same time, the regime is surrounded – politically and internationally, and in economic terms, it is on the brink of collapse. Over the past 12 months, the national currency has lost two-thirds of its value. Today, the regime has reached a point where its factions publicly threaten their president with physical elimination. The mullahs have no way of escaping the siege imposed by an array of dangers, which is why they have activated the regime’s most senior officials in their bid to deal major blows to the Iranian Resistance while accepting the significant political risks and costs that such a strategy entails. The discovery of a number of the regime’s terrorist and spying operations targeting the Iranian Resistance in Albania, France, and the U.S. in recent months; the arrest of a senior intelligence official who, while posing as a diplomat in Austria, was commanding a terrorist plot against the Resistance; and the recent warning of the French Foreign Ministry regarding the possibility of its diplomats being taken hostage by the regime as a means to secure the release of its terrorist-diplomat, are all instances of this modus operandi. The mullahs’ sharia edicts, which make up the legal precedent of the regime’s punitive laws, will have no place in tomorrow’s Iran. We also stress the separation of religion and state. Active and equal participation of women in the political leadership of society is the strategy of our Resistance, both as we persevere and struggle to overthrow the regime, and as we establish freedom, democracy, and equality following the clerical regime’s downfall. Democracy in tomorrow’s Iran will be founded on the participation of its various ethnicities liberated from dictatorship. In this respect, the 12-point plan of the National Council of Resistance of Iran(NCRI) for the autonomy of Iranian Kurdistan, adopted 35 years ago, continues to shine as one of the most comprehensive models in the world. And finally, we seek a constitution based on freedom, democracy, and equality. At the same time, we emphasize that the greatest danger posed by this regime is suppression at home. 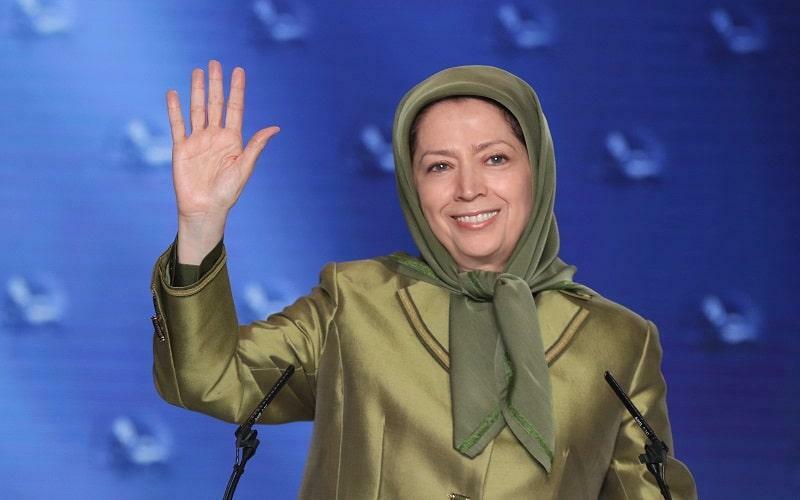 As such, firmness vis-à-vis the mullahs will only be effective when the violations of human rights, the Iranian people’s uprising, and the mullahs’ terrorism are addressed in any discussion about Iran. We call on the United States to expel the Iranian regime’s operatives from America. We urge western governments to shut down the regime’s embassies, which are control centers for espionage and terrorism; and to expel this regime’s criminal forces from Syria and Iraq.